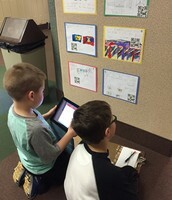 Technology tools used (the list is extensive and only the major tools are listed): Canvas, YouTube, Google Docs, Snagit, numerous iPad apps, Study Island, PDF files, PowerPoint, Microsoft Word, Khan Academy, Brain Pop and many others. ENSC will apply for the Flex Day waiver and continue to use eLearning (as long as the state will allow us) for cancelled snow days. 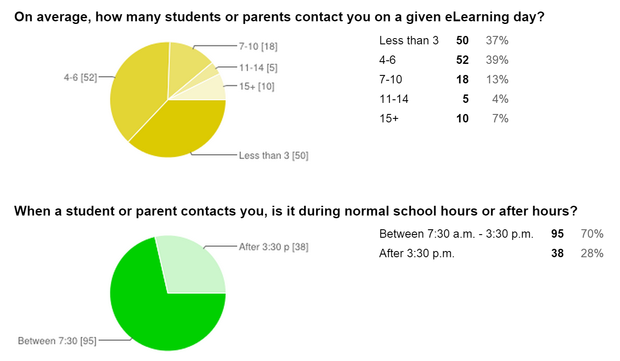 Next fall, we will convene a group of teacher to further discuss what and how we can improve upon our eLearning days. Thank you to those who completed the survey! Hopefully, we do not need any more eLearning days this school year. With last week's cancelled school, the last day is now Friday, June 5. Graduation will remain on June 7 regardless of additional cancelled days. The 2015-2016 school year calendar will be presented to the Board for their approval at this week's meeting. The calendar will be posted to the corporation and building websites on Thursday. I know I periodically give you a few links to check out and based on the analytics, they are not heavily viewed. Today, I am giving you one link only and I encourage all teachers to take a look. The information/strategies in this link provides you with 15 ways to better engage students in your class. 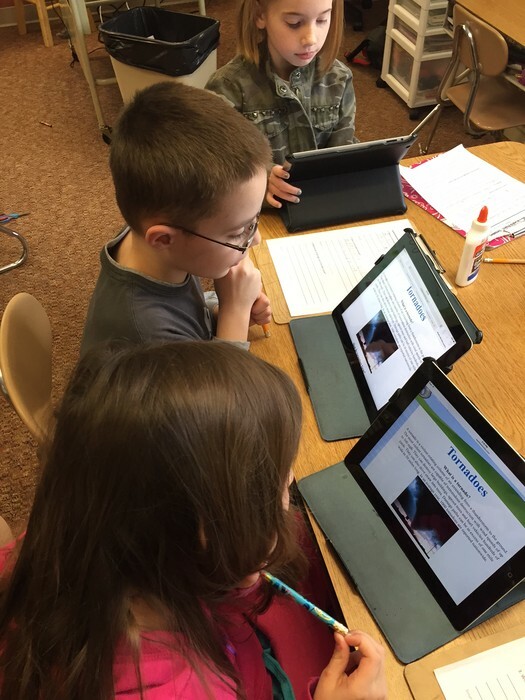 Stronger engagement leads to deeper learning. March 21 - First day of spring...Woo whoo! 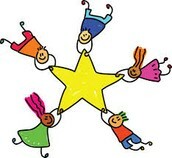 April 2 - Paraprofessional day - Thank you for all you do!! Enjoy your spring break everyone. 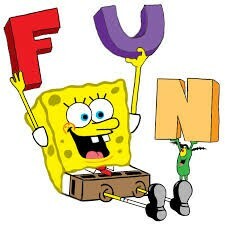 Please take time to relax, forget about school, and do something fun! This week’s All Star of the week is Mrs. Teresa Kloepper. Teresa is a veteran teacher at South Side Elementary School and has served both in Kindergarten and in 3rd grade. Not only is Teresa an integral part of a dedicated and talented third grade team, she is also committed to growing and maintaining the family climate and culture of high expectations in a fun learning environment for our students. Teresa serves tirelessly on our Character Counts and No Excuses University Committee, carefully constructing the agenda each month for our Trailblazer University Celebrations—making sure that our students are recognized and inspired by guests and community members as they are invited to participate and share their own experiences and successes with our Trailblazers. Teresa also serves on South Side’s School Improvement Team, collecting and analyzing data to inform our improvement plan and collecting evidence of continuous improvement for AdvancEd/NCA. Teresa is also very in-tune with the needs of our students—often recognizing when a student may need some additional support and advocating for that support through whatever means she can find. 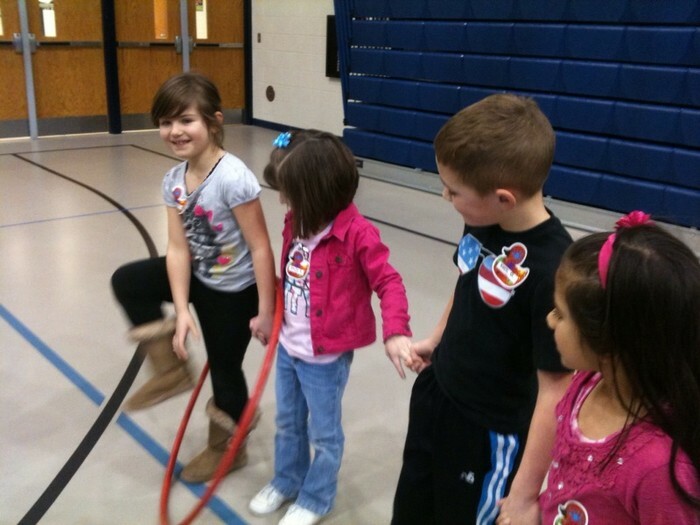 For these reasons, Teresa is one of our East Noble All-Stars! 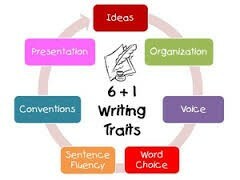 Just a reminder that the first spring 6+1 Writing training will be held this week on Tuesday, March 17th from 3:30-4:30 at South Side Elementary. With the first round of the ISTEP completed, it is now time to looking toward Part 2 in late April and early May and the ECAs in May. After hearing from several teachers that our students felt well prepared for Part 1, I want to say thank you for all of your hard work this year. It is because you took time to expose students to the new question types that they were comfortable with what they experienced. Mark all correct answers from the choices below. Mark three correct answers from the choices below. Also remember that students can practice the technology skills needed for the question types as often as you like with the example tests from the DOE. This week, South Side’s fifth and sixth graders performed for our families and friends at our first spring music program. Fifth grade performed a medley of Beatles songs, and sixth grade did a musical demonstration of cultural rhythms using some of the brand new percussion instruments purchased for us by our PTO! South Side’s grade level update this week comes from 2nd grade: Second Graders have been working in teams to research the weather. 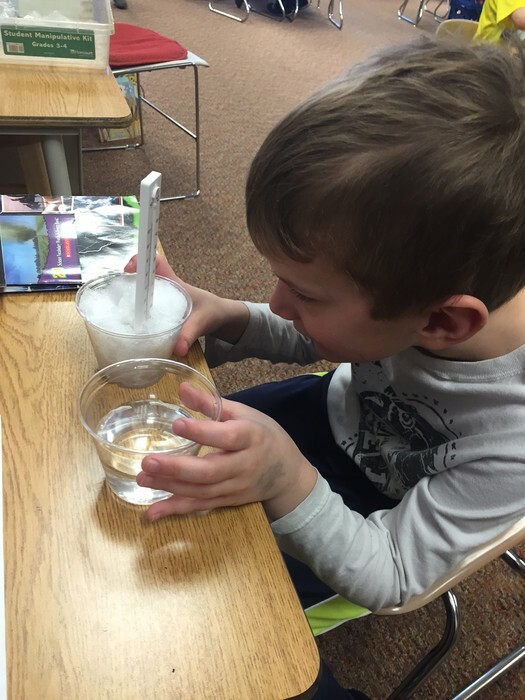 The snow stuck around just long enough this week for us to use it to investigate temperature. We will culminate our study with a video project this week – writing and filming our own weather forecasts! We are preparing for third grade in many ways. One way is gaining an understanding of multiplication as repeated addition. We were surprised at how many arrays we could find around our classroom and homes. 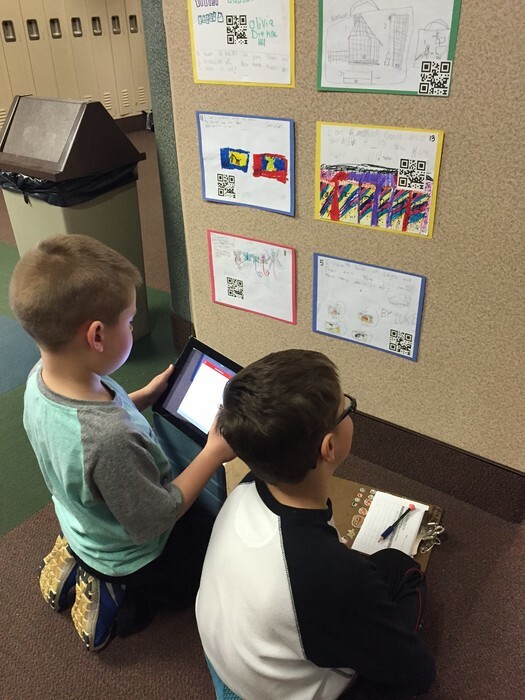 This week we wrote our own array story problems and learned how to make QR codes with our answers. Then, we had fun solving each other’s problems! In language arts the sixth grade students are learning to see both sides of the story. There are many different perspectives that one must look at. This is being tied into their writing as they are finishing up their third argumentative essay. The students recently finished reading Out Of the Dust which is a first person narrative through the character Billie Jo’s eyes. The students have been talking about what may have been different if the story was through Pa’s eyes instead of Billie Jo’s. In science, the students are finishing up their study of the solar system. They are learning about the size of the planets and what makes each planet up. They were intrigued by the number of moons Jupiter has! In math the students are working with integers. The students are learning to add, subtract, multiply and divide with positive and negative numbers, as well as fractions. The students were excited that we have begun our BizTown unit. The students are learning how to use a checkbook, write checks, complete deposit tickets, and log the information into a check register. We appreciate the support from our parents volunteering to help with this event. The students are looking forward to their trip in April! 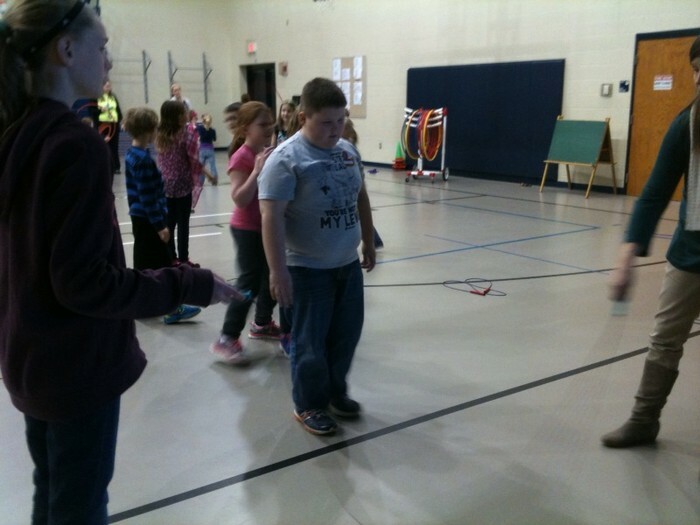 On Thursday, the student council sponsored our annual Jump Rope for Heart event. Many students stayed after school to rotate through six different stations. 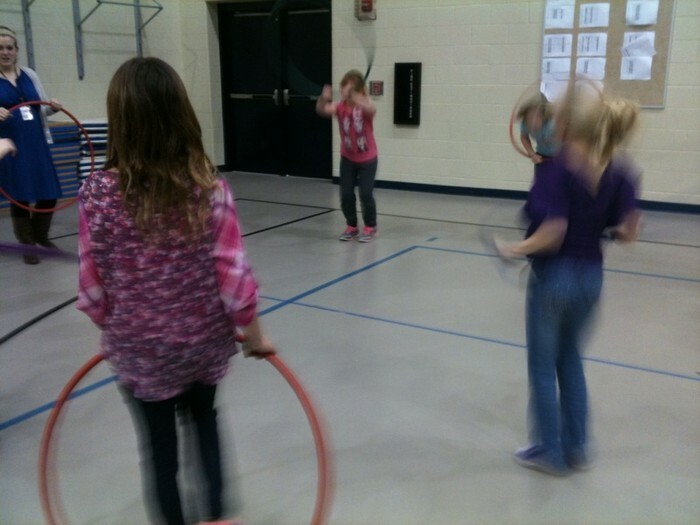 These stations included activities with jump ropes, hula hoops, and even relay races. Each student was also treated to a snack. It was a great week at the ALC. Congratulations to our newest graduate, Nick Musser. Good luck to him on whatever path he takes in the future. The students have already earned 25 credits this trimester and more are close to finish before spring break. The goal is to earn 50 credits by Friday, so there can be a celebration on the last day before break. This goal should be easy to meet if everyone continues to work hard and do their part. With the weather getting nicer and spring showers in the air please watch pay attention for delays. If there is a 3-hour delay, school is extended by one hour. Students who only attend the ALC in the morning do not come to the ALC at all on 3-delay days. They are to report directly to their afternoon location. Spring break starts after school on Friday, March 20th. We return from spring break on Monday, April 6th. OUR entire staff would like to congratulate 6th grader Grant Owens on winning his weight class at the Carroll Wrestling Invitation last Saturday! Awesome job Grant! We also had several students participating in Indianapolis in archery on Saturday! We appreciate all students representing Avilla and East Noble in an appropriate manner. A special “thank you” goes out to OUR 3rd graders for working so hard this week on the IREAD 3 test. Thank you goes to families and all staff members for preparing OUR kids for the tests. A HUGE THANK YOU goes out to K-3 teachers for all of your hard work and dedication to these girls and boys for the past four years! Pennies For Patients began this past week! Thank you to those families that have donated spare change for OUR cause. We hope to reach OUR $1000 goal at the end of this week. We will be celebrating “Spring Fever Week” this week. Students can participate each day in activities and $1 donations will be collected daily for OUR cause. Monday is Nerd Day, Tuesday is Hat Day, Wednesday is Favorite Team Day, Thursday is Face Paint Day (note the change due to Spring Pictures on Friday), and Friday will be Crazy Sock Day! This Thursday is OUR Character Counts Convocation for March. We will be having Spring Pictures taken on Friday. 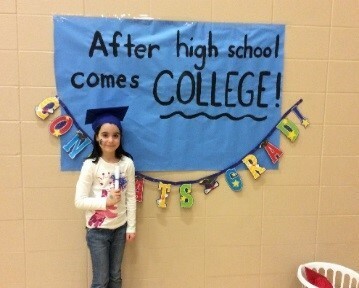 Kindergarten Round-Up is on April 14th at 6:30, and OUR PTO Carnival will be on April 24th. If you can help in any way please contact the school at 897-2301. You’ll often hear of our Knights and their victories on the field. 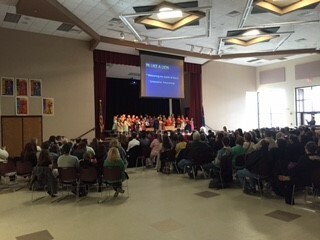 Many folks within our community will come to our auditorium to see our talented actors, singers, and dancers. Equally as talented and hardworking, but not as well-known is our extracurricular science program. Recently, the Science Olympiad Team competed in the regional site at Purdue University Calumet, and for the first time in school history came away qualified for state level competition. 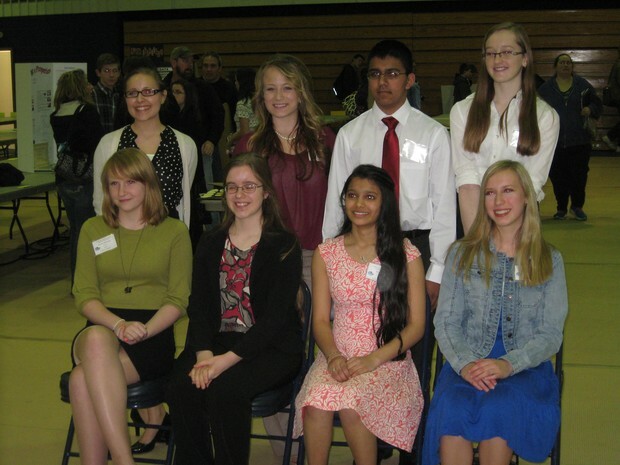 Our Science Fair students just competed at their regional competition this past Saturday and advanced six HS spots to the state level. The exciting aspect of this competition is there are also younger students who get to compete. We had one MS student advance, and although elementary students do not advance both Avilla and Southside had award winners. Both the Science Olympiad Team and Science Fair participates will be competing on Saturday March 21st, and we wish them all best of luck! Middle and high school students who will be headed off to spring break need to be aware of the dangers of synthetic drugs and Sam’s Watch is offering materials to their schools to be sure the kids are. Sam’s Watch is a nonprofit dedicated to teaching young people about the dangers of synthetic drugs. It was formed after Sam Motsay, a 16-year-old honors student-athlete, died on Mothers’ Day 2014 from using the synthetic drug 25i-NBOMe. The ENHS SADD group is proud to work with the group Samswatch.org to deliver a PSA this week as students prepare for spring break week. A PSA concerning synthetic drug use will feature an active student from an Indiana school who unfortunately lost his life last May from partaking in synthetic drug use on his first try. The PSA will run during AL this week as a reminder to all students to make good decisions and choices. Congratulations to ENMS Wrestling!! As a team they finished third in conference. We had two students that were champions in their weight class - Adam Babyak and Adam Ledesma. EN Future continues to look bright! Thursday night’s choir concert was a nice evening showcasing our talents in the vocal department. The students represented East Noble Middle school very well by dressing up and singing some great songs. Student’s continued the tradition of dressing up nicely on Friday. Friday they will be traveling to Garrett High School to partake in the annual large group contest. Each band will be performing 3 pieces in which they be rated on in several different categories such as: rhythm, pitch, articulation, intonation, style, dynamics, and balance/blend. We wish them the best! We celebrated (almost) Pi Day on Friday. Pie songs were played during passing periods. Math teachers rocked their Pi Day of the Century shirts. Students enjoyed Pi related activities in their math classes – where Mr. Deming did NOT win a game of Pi Kahoot. Congratulations to Austin Liep on his achievement at science fair. Austin's first place project advances him to the State Science Fair! This week at North Side was a busy one. The wildcats finished up ISTEP+ testing and IREAD3 testing strongly. North Side students can be very proud of the effort they put forward. North Side also held Spring parent-teacher conferences Tuesday evening. NS students were particularly excited to meet their first goal in the Pennies for Patients fundraiser of $500 triggering the reward of making principal Mickey Wagner wear Purdue apparel for one full day! With $500 more dollars raised Mr. Wagner will be forced to endure a pie in the face. Let's hope it's tasty! This week was also the Kindergart/ first grade music program. The kids had worked so hard for the last couple months and were proud to show off their skills. They were cute and well-tuned. Many thanks to all the parents, family members, and friends who came out to support the young ones. It was a packed house! Many more thanks to all the folks who worked behind the scenes to get everything ready: PTO for the bake sale, volunteers for taking down chairs, the custodial staff getting everything set up, Mr. Johnston for planning and leading the event, and the classroom teachers for helping guide their kiddos through the evening. Great job, all! 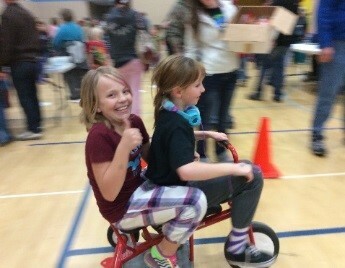 Roman families enjoyed a night of fun, food, and games during the annual Carnival Friday night. From tricycle races to posing for future high school graduation photos, the evening was filled with activities for everyone. We are very appreciative of the community’s support through donations for the silent auction as well as helping run booths. What a great evening! 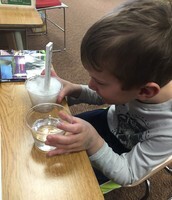 First and third graders have been busy practicing various science skills. The first graders recently took a field trip to Science Central as a culminating activity for their study about animal habitats. They had an opportunity to get up close and personal with a shark. 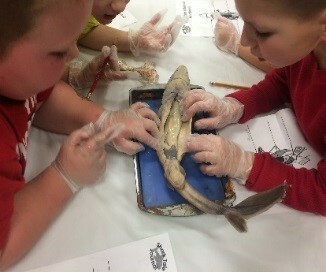 These young scientists opened up the shark and labeled the interior as well as the exterior parts of the shark. Roman third graders have been learning about simple machines in a very tasty manner. The students used their creativity to make simple machines out of graham crackers, licorice, pretzels, cookies, and lifesavers.